Cincinnati proudly boasts fantastic architectural gems. Downtown landmarks like Carew Tower, the Roebling Suspension Bridge, Music Hall, and Union Terminal help to establish a unique sense of place. Uptown, features at the Zoo, University of Cincinnati, and Christ Hospital demonstrate a range in architectural styles found here. But while Cincinnati’s iconic landmarks leave a lasting impressing on residents and visitors alike, it is often the smaller, lesser-known architectural features that make this city a fantastic place to live. On Saturday, January 29 at 10am, Cincinnati Preservation Association (CPA) will present Little Known Jewels of the West Side, an overview of hidden historic treasures of Cincinnati’s West Side neighborhoods. The event will be led by UC alumnus Dave Zelman, AIA, a registered architect in the hospitality studio of FRCH Design. Saturday’s event will be held at the Hauck House located at 812 Dayton Street in the West End neighborhood. 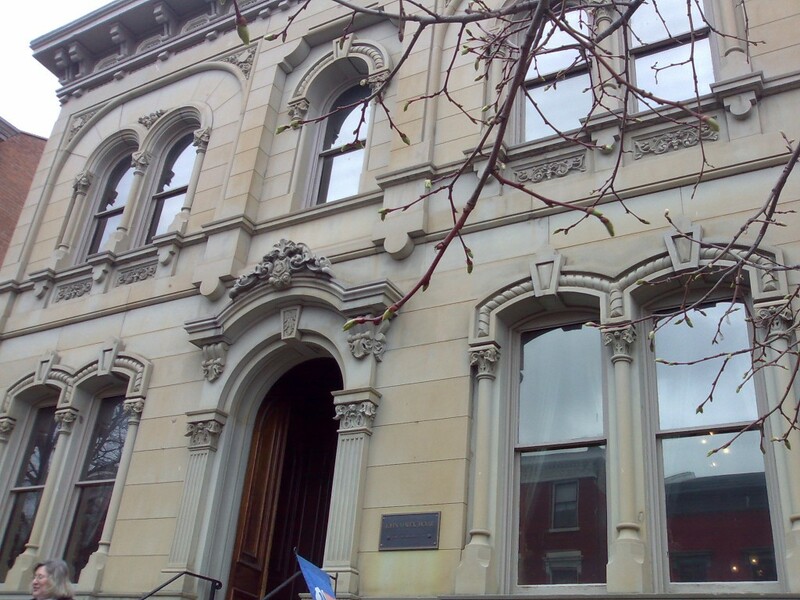 This beautiful Italianate stone townhouse on “Millionaire’s Row” was CPA’s original headquarters. Reservations are required due to limited space. Contact CPA by calling (513) 721-4506 or emailing info@cincinnatipreservation.org. Admission is just $5 thanks to the support from Comey & Shepherd Realtors, City Office which is sponsoring CPA’s Winter Programs series at the Hauck House.